Choosing your dream kitchen can take quite a lot of homework. There are so many styles, materials and companies to choose from. 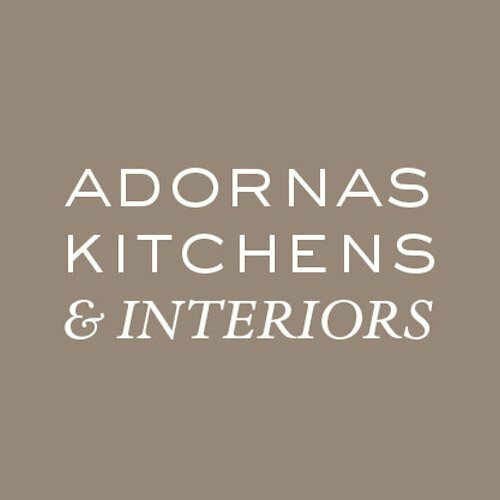 Adornas Kitchens is a new concept in kitchen design. We help our clients focus on the main buying decisions in three key areas: budget, look and wish list. The whole process is relatively straight forward, as we take care of all the hard work. We like you to visit our showroom for the very first conversation. It’s important for us to grasp what you are looking for from an early stage, that way we can get to work on creating your dream kitchen. You’ll find a varied range of kitchen displays, as well as a door gallery of the styles we offer. This stage is really informal, and there’s no obligation to buy. Simply come have a coffee, and we’ll talk kitchens. Once you leave, we’ll have had a better idea of what you like. We might ask for a bit more information (see below) so we get to work on producing a mood board. We’ll often ask our clients to choose from some key looks. This could be instore,from a selection of kitchen magazines, or online from our Pinterest Board. Click here to view. 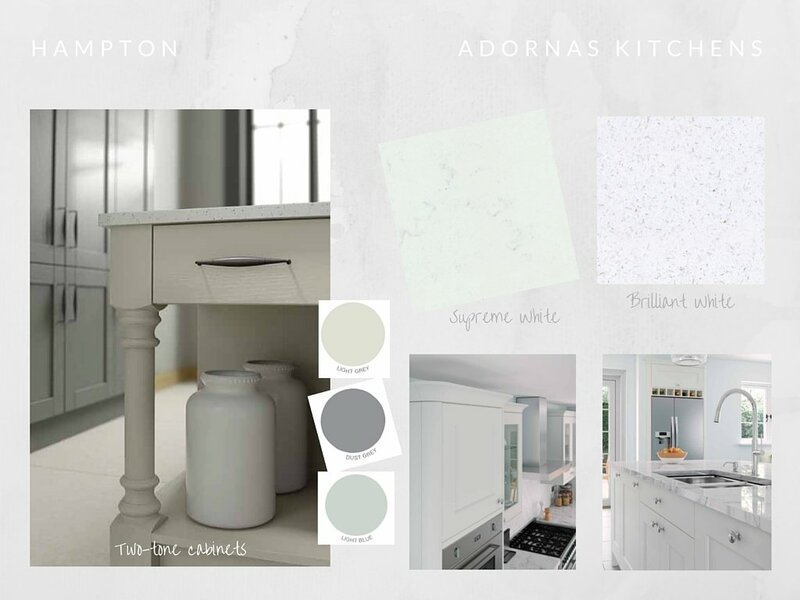 In the example below, our client spent a quiet evening choosing some key looks and features she liked for her new kitchen. We find that some homeowners have more than one style, and Linda was no exception. With this in mind, we pull together a mood board to help our clients visualise their ideas more clearly. 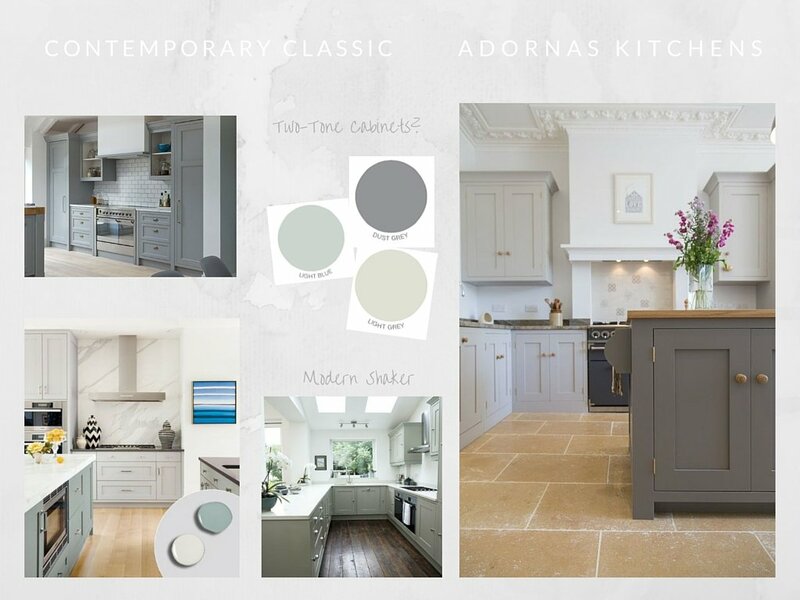 We asked Linda to create a Pinterest Board of kitchen styles she loved, and above is a selection of the key themes selected. A modern shaker style. Sometimes our clients have a very clear idea of what they want. If this is the case, we can also go straight to the home visit. The next stage is for our designer to visit your home. By now we’ll have a pretty clear idea on what you like, so we’ll bring some inspiration with us. We’ll bring your mood board along with some door, worktop and glass samples. We’ll discuss designs in your home, and also measure the space for your quotation. We’ll also take a few photos so we can effectively plan the space should you proceed. The next stage is an approximate quotation. We’ll take on board your requirements, and provide a quotation based on what we’ve discussed together.This will usually be in email format, along with a copy of your mood board. Should you wish to proceed, we’ll take a deposit and then begin designing your dream kitchen. Our team will create a floor plan, and shopping list based on your requirements. Our software will generate a 3D artists impression of how your new kitchen will look. We’ll invite you back in for a coffee to sign off your design, or make any changes before we order your kitchen. Depending on the kitchen style you have chosen, lead-times can be between 10-21 days. Some styles are made to order, whilst some are in stock. If you have opted for Replacement Kitchen Doors, our team will generally be in and out within 2 days. You’ll have a new look without emptying your cupboards. Full Kitchen Installation can take several days, depending on complexity of the design. However, our team will be able to give you a forecasted plan when you place your order. Once your kitchen is complete, one of our design team will visit your home for the final time (this is usually on the final day of installation). This visit is for quality purposes, we’ll check every aspect of the installation to ensure it is completed to a high standard. Finally we’ll take payment for the final balance. Our experienced team will be happy talk you through every aspect of the process, simply pop in or call us on 02891 470915. To arrange a consultation, why not get in touch?